Savings & Investments: The start of the year presents a good opportunity to review your financial portfolio and determine whether your asset allocation is still appropriate. It’s normal to have some anxiety during this process, especially after a year as volatile as the last one. During times of volatility it is important to remain focused on your long-term goals. Investors need to remember that making drastic changes to a portfolio during times of volatility is risky and can result in locking in losses . Instead, investors should ride out the volatility whenever possible. Should you wish to have you attitude to risk assessed please complete this Risk Assessment Questionnaire and return this to our office at 47 Lower Mount Pleasant Avenue, Rathmines, Dublin 6. Retirement Planning: It’s important to regularly evaluate your retirement plans and also consider reallocating investments in line with your attitude to risk. Increasing your contributions such as making Additional Voluntary Contributions (AVCs) is one of the most tax efficient ways of saving long term. Estate Planning: It’s never pleasant to talk about estate planning, but these conversations are important to have. Many people falsely believe that a Will is a ‘set it and forget it’ type of document, but that unfortunately is not always the case. 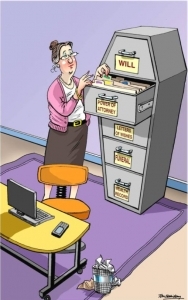 It is important to review Wills, Enduring Power of Attorney, Letters of Wishes (for your pension). It is important to consider Section 72 policies which are a very tax efficient way of satisfying Revenue liabilities. Income Protection: So what would happen if, almost without warning, your income was no longer there? What would happen if you were to suffer a debilitating accident or become so seriously ill that you were unable to work for six months or more? What would happen to the income upon which so much of your lifestyle depends? Of course, it’s impossible for any of us to know exactly what the future might bring. But the risk of serious injury or illness leaving you unable to earn an income is not so remote that you should not consider it. A car or motorcycle accident, a sports injury, the onset of severe depression, a stroke or heart disease – but we have all heard of and possibley know, people who have suffered conditions just like these. Quite apart from the health considerations, have you considered the financial implications? Mortgages are generally limited to 3.5 times gross income for all borrowers. With regards to First time Buyers, you will need a deposit of 10% of the purchase price. The Help to Buy Scheme is currently available (until 31st December 2019) to First Time Buyers who are purchasing a new build. The Scheme, should you qualify allows you to claim 5% of the purchase price (up to a maximum of €20,000) and the maximum Purchase Price allowable is €500,000. These funds are paid directly to the building contractor. For those considering Switching Lenders this year, there are plenty of offers available from most of the lenders. We are happy to go through these offers with you if you would like to contact us. Should you wish to discuss the above or if we can be of any assistance please do not hesitate to contact our office on (01) 4972544.